After years of back-and-forth of will they won’t they, Hawick Wanderers and PSA finally look set to merge and move forward under the same banner from next season. 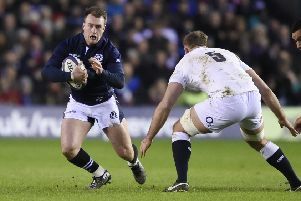 The potential merger is designed with the goal of improving the standard of rugby in the town while enhancing the quality of player the likes of Hawick Linden, Harlequins, YM and Hawick RFC would gain when the players become eligible for senior rugby. There is as yet no concrete, official motion of an agreement but the Hawick News understands an announcement on the merger is likely to be in the medium-to-short term, with both parties speaking this week for the first time indicating an agreement is all but secured. “Both clubs have provisionally agreed to train together and work as one, beginning in pre-season,” said Wanderers coach Gerry McGuiness. The agreement is an undoubted victory for Hawick rugby and Hawick RFC – the driving force behind these negotiations. Under the current proposals, both clubs will remain and compete separately in the Borders Semi-Junior league but will train together and share the player pool. For the 2016/17 season the Wanderers will take on the role of the A team and PSA will be used as a developmental side or B team. Then for the 2017/18 season the teams will swap with PSA becoming the A team and Wanderers the B. “An agreement like this can only be a good thing for Hawick rugby,” said Cannon.